A dog walker who failed to clear up after their pet in King’s Sutton has been fined £50 by the council. In March, a woman walking a dog was recorded on private CCTV allowing the animal to defecate on a public footpath and walked away without clearing it up. 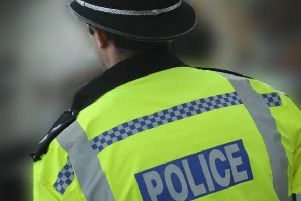 South Northamptonshire Council’s environmental enforcement team identified the woman and interviewed her at the council’s offices in Towcester, where she admitted to the offence and paid the fine. In another act of criminality brought to justice by the council, a man was fined £150 for dumping two bags of clothes in Passenham, near Milton Keynes. Those taking part in the Passenham community litter pick came across a black bin sack and a carrier bag containing men’s clothes in April. He was also identified by officers and interviewed before admitting to the offence and paying the fine. Portfolio holder for environmental services Cllr Dermot Bambridge said: “Fly-tippers and dog foulers beware, there doesn’t have to be an environmental enforcement officer on every corner. Report flytipping or dog fouling online at http://www.southnorthants.gov.uk/report or call 01327 322322.